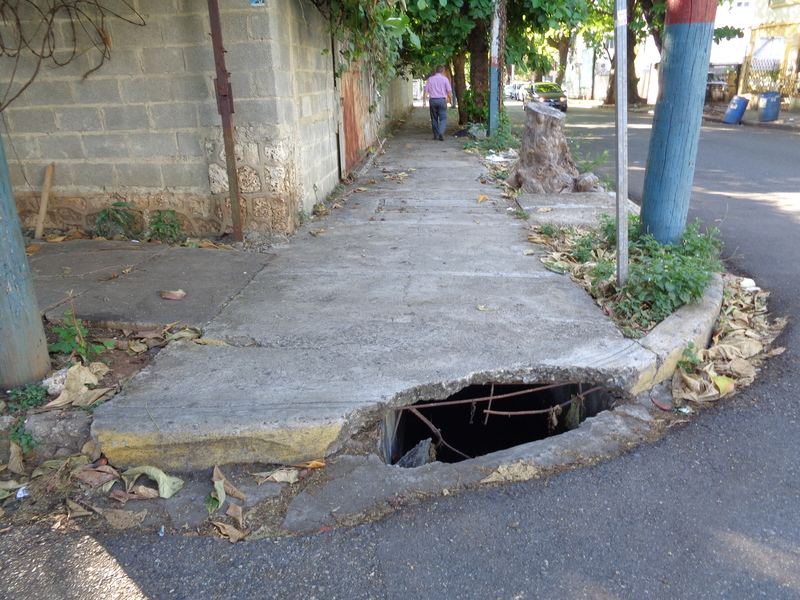 Walking in Santo Domingo has many challenges. In this city of 4 million people, pedestrians seem to have no rights and there is a stigma against people who walk instead of ride in a vehicle. We are considered to have no worth, second class citizens. Gordy and I consider it a privilege to be able to walk here yet we are always aware of the dangers and difficulties: the broken sidewalks, posts sticking out ready to impale, random holes, and piles of construction materials. 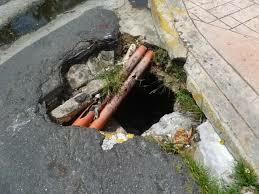 The wide open storm sewers are filled with garbage belching out nasty odors. There are garbage piles on the sidewalks which attract rats that occasionally run out in front of you. And there seems to be no law against parking cars and trucks on the sidewalks. 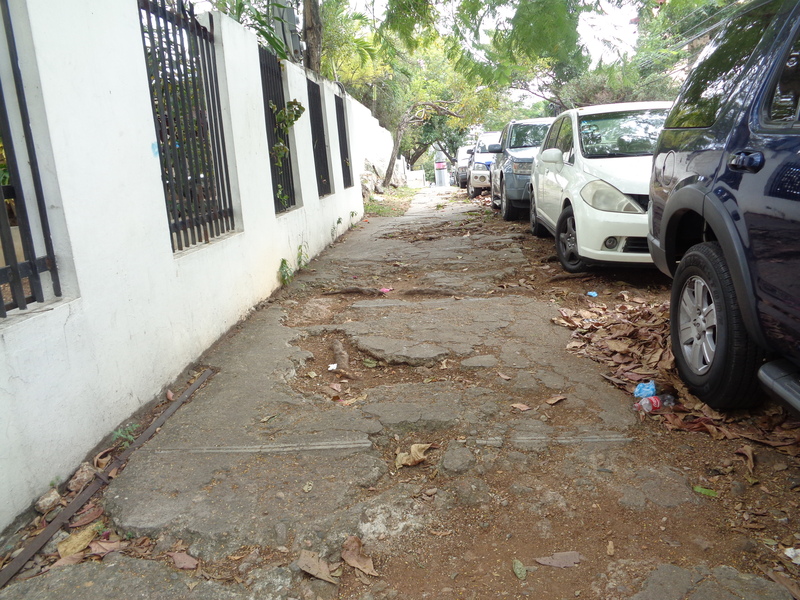 In addition, the motorcycle drivers are increasingly using the sidewalks as their very own speedway. And to cross the street, any street, most often means being on red alert. But there are gentler times also. One day as I was walking home, trying to be careful, a couple walked in front of me. They were both blind, holding hands, with their guiding sticks in their opposite hands. They were in a particularly tricky part of the sidewalk and were attempting to cross one of the very busy streets at the same time. I stopped walking to see if they needed any assistance, while at the same time trying not to be maternalistic. Others responded to the couple also and immediately came to their aid. I understand that Lent recalls the time when Jesus was in the wilderness and there were many struggles and dangers that threatened him. This was a time of growing and standing firm in His faith. As I continue to wrestle with supporting the pastors and lay leaders with curriculum writing, I find myself struggling to find a way to share the faith and the Bible stories with the children of the church. I think one of the strongest messages that God tries to teach us, and I always want children to realize, is that we are not alone as we walk. There are many real hazards out there, yet God is always with us and we can encourage each other to keep on walking.